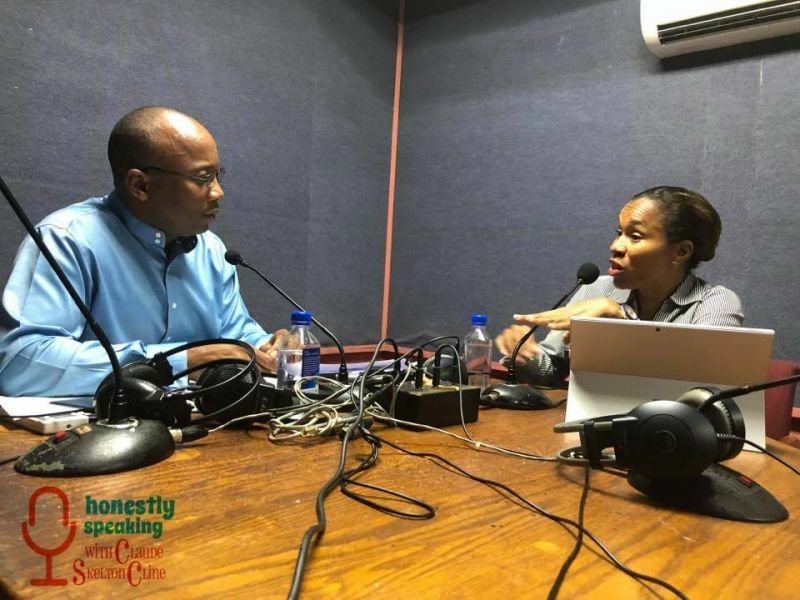 Ms Smith was the guest of Mr Claude O. Skelton- Cline on his weekly radio show, Honestly Speaking, aired yesterday February 27, 2018 on ZBVI 780 AM at 5:00 P.M.
“We should be able to have basically national election for the top two seats, that would be the Premier and Deputy Premier, versus what we see happen election morning, who has majority and then they figure it out,” Ms Smith believes. She is of the opinion that every citizen should have a say as to who leads the country and not only who leads their district. In the present system elections are done to determine District Representatives and those candidates running At Large and subsequently the cabinet is chosen based on who won seats. Citizens has limited input in the decision as to who will lead the Territory for the next four years. The social and political commentator even suggested changing the electoral term to five years instead of four, claiming “I would do five, because you can’t get nothing do meaningful in four years.” Ms Smith added that she is in favour of limited terms, with two consecutive terms being the maximum. She went on to explain that, “It changes up the whole dynamic too in terms of how persons are able to become entrenched in a district and hold a seat in the House of Assembly, making national decisions when at the end of the day their only allegiance is to their district if they want to come back. you people are sick so you want a change of system. No where in the Westminster system do they vote for Prime Minister or even have an at large system. It is important that women be in politics but not this one. Although she raised a few good points this girl is a waste of time. All talk. I want to educate this young lady that no one cares how much you know until they know how much you care. The further the BVI keeps this girl from politics the better. As far as I see is some people want to put systems in place to get into politics without having to deal with the people too much. The NDP is running her in the first district again. That will be a lame duck or turkey shoot. Andrew hands down winner! 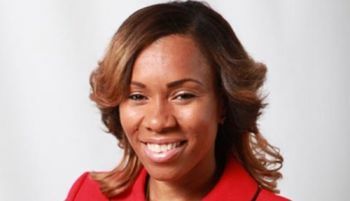 I am from the 1st district & I supported this young lady last elections but since the hurricanes it is clear to me that the current rep is a true leader that truly cares about people so he will get my support this time. Real leaders prove themselves during disasters and difficult times. Fahie has proven that he's a real leader. She sees and knows that her NDP is a failure and is saying so but yet she is still working to get them re-elected. Pure foolishness. Strupes, Strupes, Strupes come with Positive solutions to our problems, not giving corrupt politians more time in office to continue to thief from the public coffers. I agree with most of what she said except the 5 yes..4 yrs is just fine.. Term limit is important. However. I think 3 consecutive terms for an elected member is enough. 12 yrs. In parliament is enough. Get out. Get fresh blood. New energy. Fresh ideas. That's up to the people not legislation to decide how long they will have an representative. on that flight. I'm sure Orlando is greatful he wasn't on it. Look pon licks, more licks again for poor you girls Shaina, you tolerating corrupt behavior of your party leaders. Shame on you. I agree with voting directly for premier but not 5 yr terms and not term limits. We're not a nation like the USA we don't have a population that can sustain that change over. Also 4 yrs is enuff is you care and work with the people 4 becomes 8 which is more than enuff and in this case too damn much for who we have in there now. I also prefer that government be run like a government and not a business. Keep talker out of politics because they don't love people. They only know them when them want to be elected. 1. Throne Speech: Agree that the purpose and format of the Throne speech should be changed. The Governor should not be reading a speech constructed by the local government. Instead, as Ms. Smith suggested, the Throne speech should be about the UK plan of action for the coming budget year and future years. 2. Running Government as a Business: Government cannot run fully as a business. Businesses can choose what customers they want to serve; government cannot select customers it wants to serve; it has to serve the whole territory both resident and visitors. Yes, it can adopt/adapt some business best management practice (BMP). 3. At Large Rep as Ministers: Ministerial slots can be effectively manage by either District Reps or At Large Reps. It comes down to strong and effective leadership by the Premier. Premier cannot let ministeries be run like a government within a government. Premier must be in control. What if the winning party has no At large Reps? 4. Electing Premier and Deputy Premier Nationally: The BVI currently operates under the West Minister form of government. To change the way how the Premier and Deputy Premier are now selected would require a change of government system and a constitutional change. What happens if a candidate for Premier amass the most votes but his/her party does not have enough candidates to form a government? What if a candidate for Premier wins the most votes but his/her Deputy Premier looses what happens? Will the Premier and Deputy Premier candidates with the most votes will be be Premier and Deputy Premier and have to work with other represensatives perhaps with a different ideology? Is this a workable team? She's just trying to stay relevant. Keeeep talking. If the party were to actually focus on one thing and do it well and completely then four years would be enough. Instead they start a million projects with big budgets to give the illusion of progress. If you know anything about prestidigitation you’d know it’s all about the art of misdirection and distraction. Politics is like too but this isn’t a birthday party for four year olds so we know better. The leaders of this country have failed us in our time of need and they’re still spinning things like it’s a planet. Give them ten years and we’d still be here with the same crap and Shauna would be asking for eleven or twelve years. We life in a democracy where everyone has a voice to speak. It’s not about agreeing with Ms. Smith, it’s about her having the freedom to say whatever she wishes to say. That’s what a democratic society is all about. If she runs as a candidate and you don’t agreee with what she says, then don’t vote for her. Here is what I would like to see, all major projects say for example one that is a certain % of the GDP etc must be voted on by the general public. These project must be brought to the public for full discussion and disclosure and must meet certain criteria. These people dont treat their fellow men with respect and always in politics. Everything is a political football in the Land of the Turtle Dove.